Welcome to our collection of live seal webcams that we’ve discovered throughout the Internet. 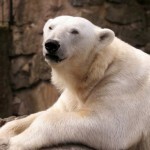 Watch various types of seals in zoos and in their natural habitat in locations around the world. Includes elephant seals, gray seals, harp, Antarctic fur, leopard, sea lions and more. 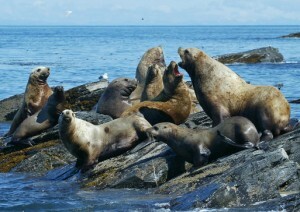 See whales, seals, seagulls and other ocean life at Race Rocks in Canada. There are six animal web cams to choose from, one being a remote control 360 degree web cam so you can zoom in and pan to look for animals. One camera focuses in on a seagull nest. Watch the live animal web cams at Race Rocks. The Ocean Sciences Centre is home to five Harp Seal cams, two of which are underwater. There are six seals living there: Babette, Deane, Jamie, Lenny, Oscar and Tyler. Watch the Harp Seal cams 1, 2 and 3. Watch the underwater Harp Seal cams. The Alaska Sealife Center presents this Stellar Sea Lion cam that streams live from Chiswell Island in the Gulf of Alaska. To give everyone a chance to watch the sea lions, viewing time is limited to 5 minutes per session. This cam is active from 9:00 a.m. to 6:00 p.m. Alaska Standard Time. Watch the Stellar Sea Lion Cam. At the Toledo Zoo in Ohio, in addition to their Hippo cam and Elephant cam, they also have a Seal Cam where you can watch them above the water and swimming underwater as well. This cam has streaming video and is viewable directly from your browser. Watch the Toledo Zoo Seal Cams. The Elephant Seals are back and better than before courtesy of National Geographic. The National Geographic Elephant Seal Cam comes to you from the Ano Nuevo State Reserve on the coast of California and features high quality streaming video with sound. See and hear seagulls, waves and many elephant seals. Watch the Elephant Seal Cam. This animal cam comes to you live from the Hellabrunn Zoo in Germany and has three different animals that you can watch: Seals, Elephants and Chimpanzees. To change cams and view different animals, select the links on the lower left of the page. You can also change the animal cam refresh rate directly under the cam. This cam is about 6 hours ahead of eastern time in the US, so if the cam is dark it is probably night. Watch the Hellabrunn Zoo Cam. This Sea Lion and Walrus cam comes to you live from the Indianapolis Zoo in Indiana and gives you a streaming view of the Sea Lion exhibit at the zoo. On this cam you can see four California Sea Lions, three Harbor Seals and one Grey Seal that lives at the zoo. Watch the Sea Lion Cam at the Indianapolis Zoo.